At the outset, I would like to express my deepest appreciation to my dear friend H.E. 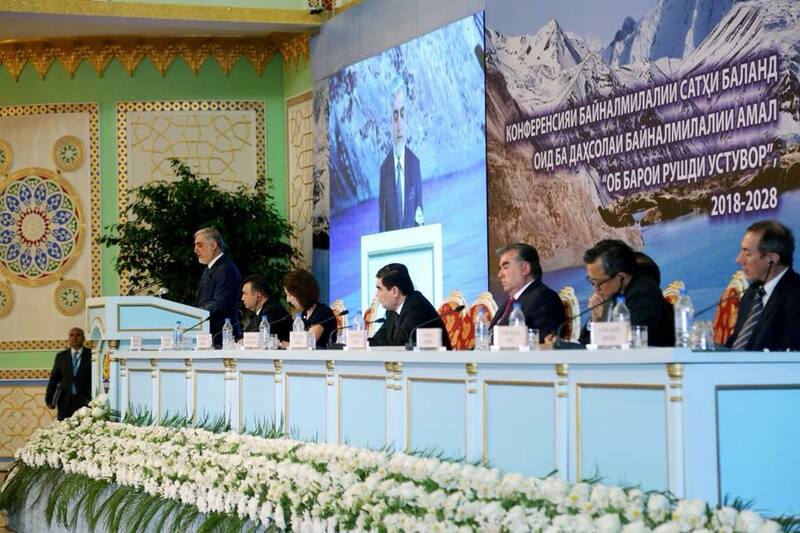 Emomali Rahmon, President of the Republic of Tajikistan, for the warm hospitality extended to me and the Afghan delegation during our stay in the beautiful city of Dushanbe, and for spearheading efforts on the critical issue of water for sustainable development. 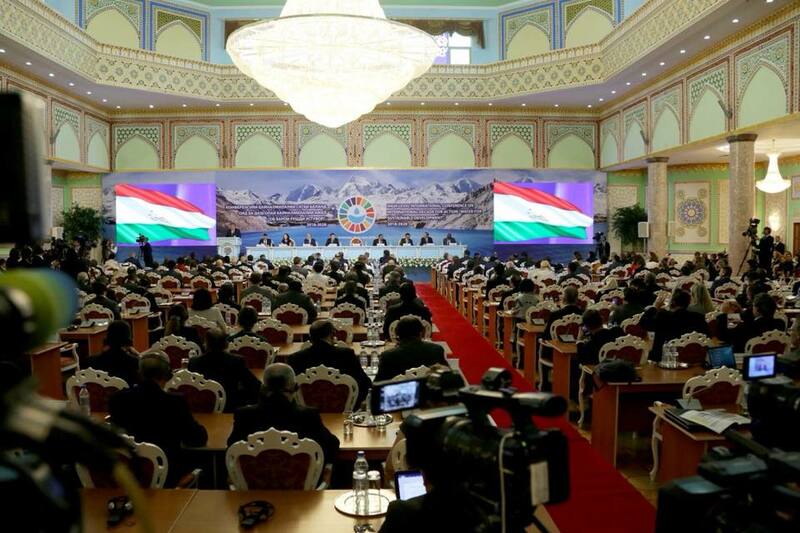 I would also like to commend the organizers of this important conference, in particular our Chair, Prime Minister Rasulzoda, the United Nations and other international and regional organizations and partners, for the tremendous efforts over the past decade. 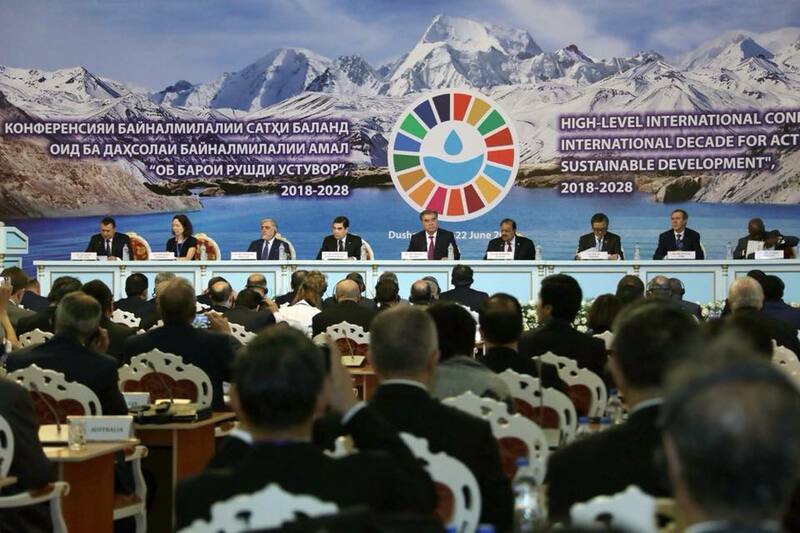 As we embarked on a new cycle for the realization of the global development agenda, lack of access to safe drinking water, adequate sanitation, coupled with water scarcity and water pollution, constitute major challenges for the international community, in particular for developing and less developed countries. Furthermore, climate change, population growth and urbanization, and poor capacity to ensure integrated water resource management, exacerbate this situation. The evidence shows us that water scarcity, lack of adequate sanitation, water pollution and other water related disasters that we are facing, could worsen if we do not enhance water management capabilities, infrastructure requirements, research and development, as well as international cooperation. As water is such a crosscutting issue, our failure to achieve the goals and targets related to water and sanitation will greatly hamper our ability to achieve most other targeted sustainable development goals (SDGs). I am pleased to inform the floor that I have set up a high-level coordination committee in my office that is coordinating our government efforts with those of our international partners (including UNDP and other UN agencies) to attain the SDGs. More importantly, time is of the essence. The Water Action Decade is a great opportunity for us to enhance positive momentum by raising awareness, sharing best-practices and promoting cooperation. Under the framework of the International Decade we must pursue initiatives and activities that lead to positive and concrete impacts at the national and local levels. Such efforts can build and promote water dialogue and cooperation as well as increase means of implementation at all levels for the follow-up of our water-related goals and targets. Afghanistan has the lowest water storage capacity per capita in the region. This severely hampers access to water when needed. Increasing temperatures as a result of climate change are causing snow packed mountains to melt completely each year in spring leading to increased frequency of floods followed by droughts. This is having a negative impact on agricultural productivity, especially for livestock herders in rangeland ecosystems. Based on the recent projections, under an optimistic scenario, Afghanistan will experience an increase of approximately 1.5 ºC in mean temperature and a doubling of population by 2050. In contrast, a pessimistic scenario shows extreme warming across the whole country of approximately 3°C within the next 32 years. This highlights the pressing need to build resilience and support communities towards adaptation and of course effective management of water. For Afghanistan, data collection efforts related to water resources and water availability, the provision of technical support and expertise for integrated water resource management, and reinvigorated and strengthened water diplomacy are some of the most important aspects for this International Decade for Action to be a success. In this regard, sustained and intensified engagement of the international community is needed more than ever. These efforts need to be underlined by increased investments for activities targeted at developing facilities and infrastructures for providing access to fresh water and sanitation, as well as strengthening national and regional water management systems. We consider effective and integrated water resource management as a key for the eradication of poverty, agricultural and industrial development, energy production and the creation of healthy ecosystems. In order to avoid the disastrous consequences of water scarcity and mismanagement and to plan for a future where the full potential of the world's water resources can be readily unleashed to stimulate and sustain growth in economic development and social well-being, we need new approaches for the conservation and management of water, and related resources. A new form of global cooperation and partnership is needed to underpin the sustainable management of water resources. At the national level, we are working to reshape policies, strategies and legal frameworks, as well as to enhance institutional arrangements and management practices affecting water resources. For instance, we are revising the current National Water Law and National Water Strategy with a view to fully reflect Integrated Water Resource Management (IWRM) at all levels. In conclusion, I wish to assure you of Afghanistan’s commitment to playing its part in this global effort towards efficient management of water, ensuring access to safe water and adequate sanitation, building resilient societies and economies reducing disaster risk, increasing water infrastructure, developing sustainable societies and strengthening partnership and global water cooperation.